It’s been seven years since Netflix first broke into original programming, transforming the way viewers watch drama forever. But how has the arrival of streaming platforms changed the way stories are told? In this special report, DQ explores storytelling in the digital age. Times have changed. It’s been less than a decade since Netflix entered the original content business, first picking up Norwegian dramedy Lilyhammer for launch in 2012 and then releasing its first US series, House of Cards, the following year. In that short space of time, the rise of streaming platforms around the world has changed the way we watch television, evolving the medium beyond all recognition. From families gathering around the box every evening to watch whatever the schedulers had planned, hundreds of series from across the globe are now available at the touch of a button – or the swipe of a finger across a tablet or smartphone. Where once TV shows would be furiously debated and examined by friends and co-workers the day after transmission, water-cooler moments are now reserved for only the most buzz-worthy series. In many cases, it’s best not to talk about a series at all, lest you spoil it for someone who hasn’t caught up. Yet while technology has dramatically changed the viewing experience for audiences, how have writers, producers and directors altered the way they tell stories on the small screen? Some of the obvious changes to the way stories are now told have to do with structure and format. The traditional 60-minute running time, or 42 minutes for commercial networks, no longer applies as streamers do not have to fill a particular slot, allowing episodes the freedom to run to a time that suits the story. 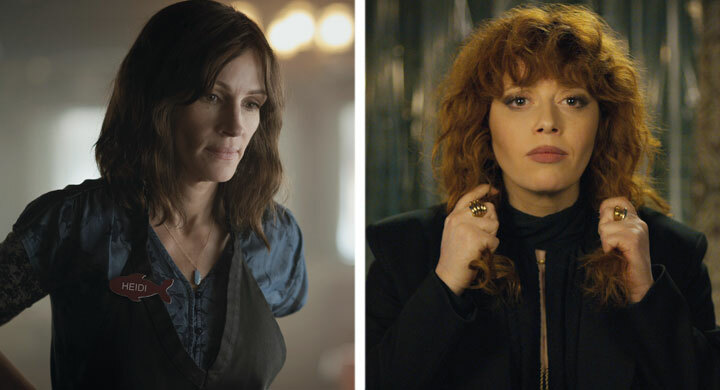 With shows like Homecoming on Amazon and Netflix’s Russian Doll, dramas are also embracing the half-hour model usually reserved for comedies. With many VoD platforms being funded by subscriptions, the need to produce commercial-friendly series has also been removed, giving writers freedom to tell the stories they feel passionate about. That opportunity to maintain their creative vision, without interference from coproducers, financiers, advertisers or other interested parties, might also explain why some high-profile showrunners have made the move to digital outlets. Shonda Rhimes (Grey’s Anatomy), Ryan Murphy (American Horror Story) and Kenya Barris (Black-ish) have all signed deals with Netflix, while Neil Gaiman (Good Omens), Melanie Marnich (Big Love), Bryan Cogman (Game of Thrones), Sharon Horgan (Catastrophe) and Barry Jenkins (Moonlight) have joined Amazon Studios. Traditional broadcasters are also embracing change, under the threat of completely losing pace with their digital rivals. It’s no wonder freedom of creativity is now something demanded by creators and afforded to them by networks, as it not only allows writers to do their best work but also ensures the vision behind a series remains intact. 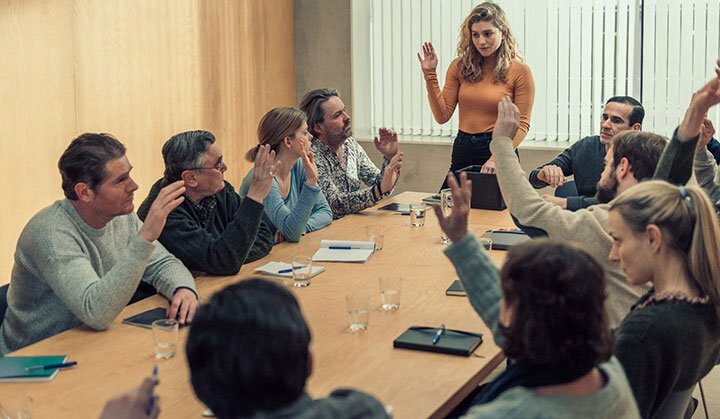 When hearing a pitch for a new show, Netflix executives want to know who the creative lead is, to ensure the same person is driving the programme from conception through production. Puenzo has partnered with Oscar-winning producer Fabula (A Fantastic Woman) on the eight-part series, which follows a specialist police force investigating the suspected sexual assault of a student by her teacher. The TVN series is distributed by Fremantle. 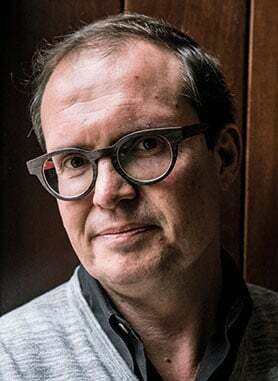 Hakan Lindhee, writer and director of Swedish political drama Den Inre Cirkeln (The Inner Circle), agrees that new platforms and viewing habits give creators the chance to dig much deeper into story. His series, produced by Fundament Film for Nordic streamer Viaplay and distributed by DRG, follows an ambitious politician who must balance the demands of his family with those of of his day job, while keeping numerous skeletons in his closet as he bids to become prime minister. Audience is also front of mind for Warren Clarke, showrunner of Australian serial drama The Heights, who says the distance between creators and viewers is shrinking, allowing writers to jump straight into complex storylines without the need for extensive introductions and exposition. “The curtain has been pulled back a bit on television being this mystical box in the living room, which gives you a shorthand with the audience,” he explains. “The connection is so strong, you can really cut through to the truth of things. As a storyteller, your goal is always connection. [The new landscape] helps you create great stories that connect to the audience because they’re aware of the format, and I enjoy that. When it comes to the types of stories being told, the traditional shackles of procedural dramas have been thrown off. No longer do stories, in the main, have to live within the realms of cops, doctors and lawyers. With so much drama being produced around the world, broadcasters have had to become braver in the series they commission, backing more specific or niche stories and genres that might not have had a look-in previously. In turn, series that might have been considered niche on a traditional, local broadcaster – Netflix’s horror series The Haunting of Hill House (pictured top) or sci-fi mystery The OA, for example – can become global sensations. A drama might only attract a small audience in one country, but multiply that by more than 190 territories and you quickly have a hit. On the whole, writers don’t set out to make bingeable television. Whether series are episodic or serialised, scripts are always written in the hope that viewers will automatically want to see the next one. If they don’t, well, that’s a problem. Even so, Clarke says everyone in television is aware their shows will likely end up on a streaming platform one day, where the end credits of each episode are accompanied by a clock counting down the seconds until the next instalment automatically begins. Diederick Santer, executive producer of British crime drama Grantchester, also believes dramas can now be more sophisticated. “You tend to worry less about doing endless repeats [of plot points] or states of play within an episode,” he notes. 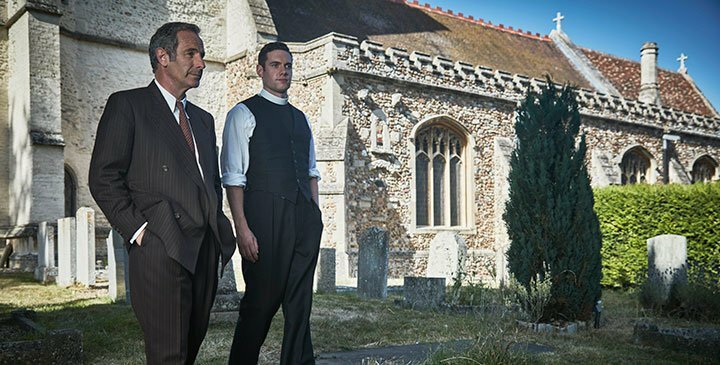 Grantchester, the ITV drama from Kudos and Endemol Shine International, is procedural in its nature, pairing a local vicar with a detective to solve crimes in every episode. Yet like many case-of-the-week dramas produced today, there are overarching storylines that run through entire seasons. Santer says these serialised elements are important for viewers to see characters grow and to understand that actions in one episode will have consequences later on. By now it is a well-trodden line that television is the new novel, with serialised dramas telling one story in episodic chapters across eight or 10 hours. That in turn offers writers and actors the chance to dive deeper into characters, themes and situations that would otherwise have been glossed over in a 90-minute feature film – certainly one of the factors that has seen television draw on- and off-camera talent away from cinema. Yet for all the clamour for serialised dramas, there’s plenty of evidence to suggest viewers still like good old-fashioned procedural stories that contain a beginning, middle and end within the space of an hour, and where it doesn’t matter if viewers miss an episode or two because they can easily return to the characters and the world where the story takes place. “I think of shows like Chicago Fire, or Chicago Med, where I can pop in and out whenever I want, and those shows are incredibly successful,” says Christina Jennings, CEO of Canadian producer Shaftesbury Films. “There’s a huge appetite for that more standalone content. There’s something about it that’s very schedule-friendly – you can watch it in the daytime, in primetime, access prime, late night, it doesn’t matter. 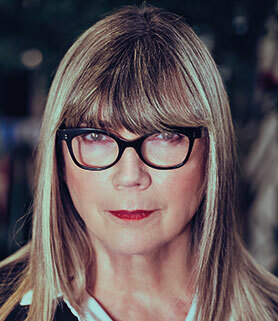 Shaftesbury’s next project, Departure, is a six-part thriller commissioned by Canada’s Global and distributed by Red Arrow Studios International. 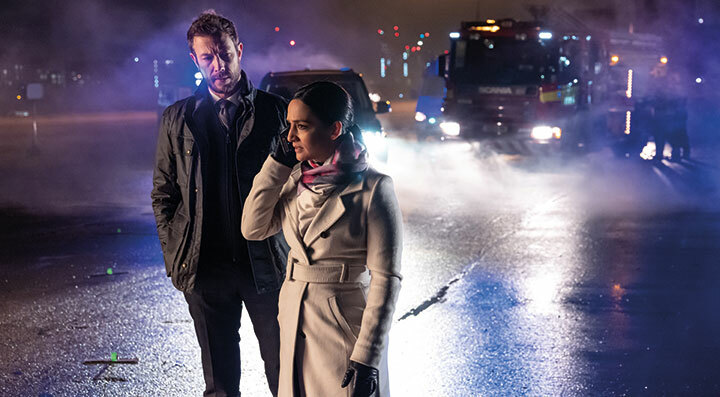 Starring Archie Panjabi and Christopher Plummer, it follows the disappearance of a passenger plane over the Atlantic Ocean and the investigator (played by The Good Wife’s Panjabi) brought in to solve the mystery. 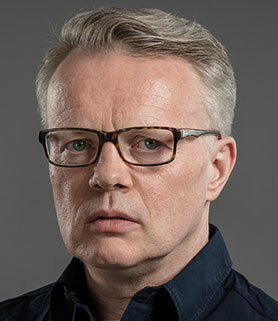 Marquess, whose credits include The Bill and improvised crime drama Suspects, is currently overseeing procedural London Kills for US streamer Acorn TV. Distributed by Germany’s ZDF Enterprises, the show follows a team of top detectives solving murders across the city. But with all the opportunities now for creatives working in television, surely there are some disadvantages to the content boom? Not so, according to Steve Thompson, whose writing credits include Sherlock. He is now the showrunner on Vienna Blood, a three-part crime drama produced by Endor Productions for ORF Austria and ZDF Germany, distributed by Red Arrow Studios International. 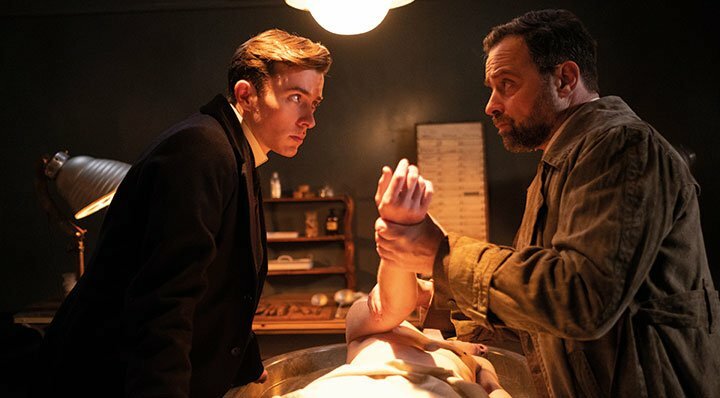 Set in 1906 Vienna and based on the novels by Frank Tallis, the series sees a psychoanalyst team up with a detective to solve a series of grisly murders in a time before the advent of DNA or forensic science. Next up for Thompson is Leonardo, a series commissioned by Italy’s Rai, Germany’s ZDF and France Télévisions to mark the 500th anniversary of the death of the Renaissance figure. “I’m sure there are some disadvantages but I don’t know what they are,” Thompson says of the changing nature of television drama. “At the moment, it feels as if the industry has exploded and the number of opportunities for me personally is increasing every day. This year I’m getting to work on Vienna Blood with the Austrians but as soon as I finish that, I’m making a show in Italy. Both of those shows are in the English language because [the producers] want to show them worldwide. So because their market is becoming more international, it means they want to employ a British writer. The opportunities are huge. Overtaken by the financial clout and global reach of streaming services, domestic broadcasters have largely been left in the wake of their digital rivals and are now struggling to catch up. The launch of new platforms such as BritBox – already available in the US and now due to arrive in the UK – is one way of trying to claw back viewers who now watch TV on their own schedule, while broadcast alliances of the type Jennings alluded to, such as the triumvirate behind Leonardo, mark an attempt by networks to pool their resources to finance high-end drama series that focus on universally appealing stories. In Belgium, broadcasters have long been keen on unique and innovative stories, but it is only in the past couple of years that the country’s challenging, often thought-provoking series have come to global attention, having been picked up by streaming services such as Netflix or non-English-language platform Walter Presents. “If you look back at the series we’ve made, our broadcasters have been making the kind of stuff that platforms are calling ‘edgy’ for quite some time, and it has not been discovered yet because it’s Flemish language,” explains Eyeworks Film producer Peter Bouckaert, who says Belgian creatives’ sophistication when it comes inventing new stories is thanks in part to the country’s funding system. Scripted series need the support of the Flanders Audiovisual Fund’s Media Fund, which has a remit to support innovation and new talent. As Bouckaert explains, the fund is the first port of call for any new production, even before it is taken to a network commissioner. Bouckaert’s latest series is De Twaalf (The Twelve), a character-driven crime mystery that follows a jury tasked with determining the fate of a woman facing a double murder charge. It is produced by Eyeworks for Één and distributed by Federation Entertainment. Fuelled by the emergence of streaming platforms that put story first, worldwide audiences and huge financial might, there has never been a better time for those in the business to tell the stories they want to tell, in whatever shape or form they might take. Maria Carmargo, the lead writer of Brazilian drama Harassment, about a group of women who stand up to the doctor who sexually abused them, sums up the changing nature of storytelling by suggesting that the challenge is always to find the best way to tell a story, regardless of where or how it will be watched.